Are you looking for the hottest party in London? 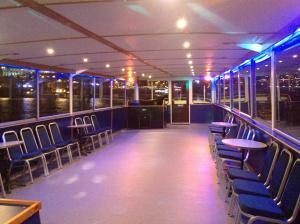 Then our Thames Evening Disco Cruise operates Friday & Saturday night leaving from the Westminister Pier. The Cruise Boats are twinned decked with heating for the chillier evenings. 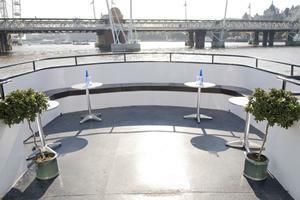 Whilst on board the Thames Evening Disco Cruise enjoy spectacular views of the River Thames and Central London with friends and family, whilst dancing the night away to the latest chart classics. Comfortable shared seating with a good quality chicken supper included. All Cruise Boats are maintained to the highest standard and fully equipped. The route passes through all the major sights of London and sails under the iconic outward bound towards the London and Tower Bridge through to the Docklands Greenwich and beyond. 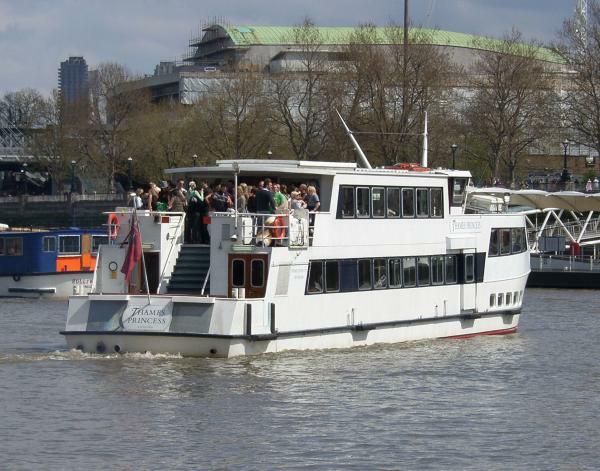 These cruises are great for groups and couples with a fully stocked bar at local pub rates. Friday & Saturday Evenings all year round.